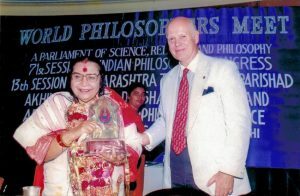 Those of us who have not heard or read about Shri Mataji Nirmala Devi could be surprised that the personality of such a stature has not reached their awareness before… And rightfully so – the impact of her work and her contribution to the well-being of humanity as a whole is hard to estimate. What Shri Mataji did and continues to do relentlessly and tirelessly is helping to bring about our own personal transformation and to raise our awareness to a higher level. Her discovery of a simple technique to trigger the awakening of the primordial energy, often referred to as“Kundalini”, within each human being has already transformed millions around the world and many more are to come. This simple technique transcends the heights of scientific discoveries and artistic achievements. It transforms our societies on the fundamental level, brings us back to our roots so our future development can be balanced, empowering and harmonious among ourselves and towards nature. It is not a book or a lecture – it is a living process which is waiting to happen within each and every one of us. 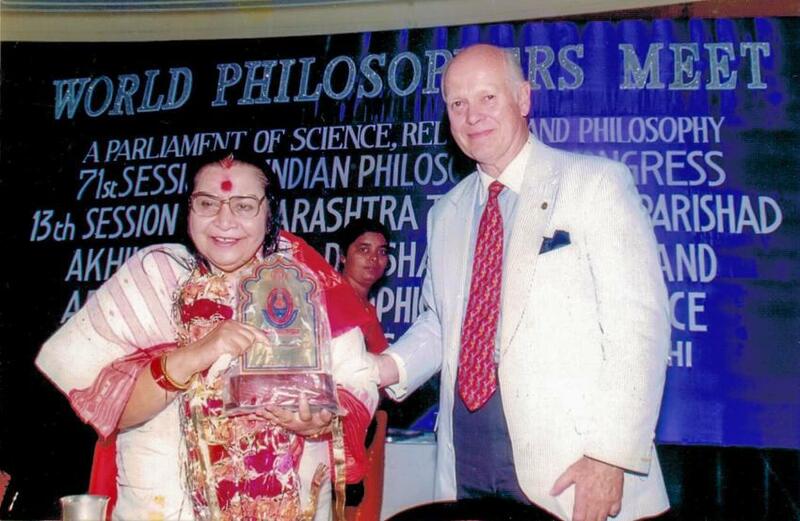 Knowledgeable in science, art, politics, economics, sociology, medicine, Shri Mataji maintains that peace in our societies can only be brought about through discovering peace within ourselves. After thousands of lectures and programs, Shri Mataji is leaving us a treasure of knowledge so vast and profound that generations to come will draw wisdom and inspiration from her words. Like a magician with a gentle movement of her wand, she left us examples of what to aspire to. Yet, her ultimate magic, the awakening of our Kundalini energy, leaves us speechless about her greatest stature. Shri Mataji was born in 1923 in Chindwara, India, into a Christian family. At a very young age, Shri Mataji worked closely with Mahatma Gandhi in the fight for India’s Independence. He was impressed by her wisdom and maturity even at that young age. Shri Mataji’s vision of universal peace and unity continues the dreams of Mahatma Gandhi. In her quest to fully understand the workings of our human systems, Shri Mataji studied medicine at Lahore Medical College. Later she married Sir C.P. Srivastava, who served as the Secretary General for the International Maritime Organization, an agency of the United Nations based in London. They have two married daughters and four grandchildren. Shri Mataji is known as a dynamic and powerful speaker, whose insights into the problems of humanity are deep and revealing. She has been a guest speaker at many international seminars and conferences including the United Nations. For over 30 years Shri Mataji has traveled extensively world-wide, speaking on subjects such as world peace and the role of women, and, most importantly, giving the actual experience of Self-Realization at the “en masse” level. Large numbers of people, without distinction of race, religion, age or social status have acknowledged the value of her teachings by establishing Sahaja Yoga Meditation centers in over 90 nations. These people who lead a normal family life, tap to their inner subtle potential through daily Sahaja Yoga Meditation and have achieved a complete balance of their lives on the physical, emotional, mental and spiritual levels. Shri Mataji has been widely acclaimed around the world for her selfless efforts towards social improvement and world peace. She has initiated a number of organizations for community service, including The International Hospital and Cancer Research Centre, a charity house for disadvantaged people in India, a drug rehabilitation centre in Italy, and others. 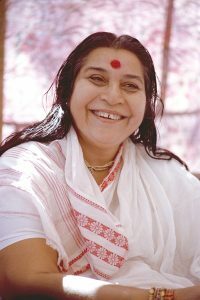 1970 – Develops the Sahaja Yoga technique, begins traveling the world to establish the Sahaja Yoga Meditation Worldwide Movement. 1986 – Declared Personality of the Year in Italy. 1989 – Awarded The UN Peace Medal. 1993 – Appointed as Honorary Member of the Presidium of the Petrovska Academy of Art and Science. In the history of the Academy, only 12 people have ever been granted this honor, Albert Einstein is also an Honorary Member. 1995 – Keynote speaker in the Fourth World Conference on Women in Beijing. Nominated for Nobel Peace prize. 1996 – Establishes Hospital and research Centre, Mumbai, India. 1997 – Establishes NGO for destitute women in Noida, India. 1998 – Establishes Orphanage in New Delhi, India. Recipient of the Unity award for international understanding by Unity International Foundation. 1999 – Honorary Proclamation by the US Congress was issued which was submitted to the Congressional Records. 2004 – Establishes World Council for the Advancement of Sahaja Yoga Meditation. 2005 – Establishes World Trust and donates all properties to the Trust.